Jumbo Bungalow is a band aspiring to be a big, comfortable house that hosts fine gatherings. Carmen Borgia is the music director and instigator. Bungalow’s eclectic sets span 30’s jazz to country and classical, pop and originals. 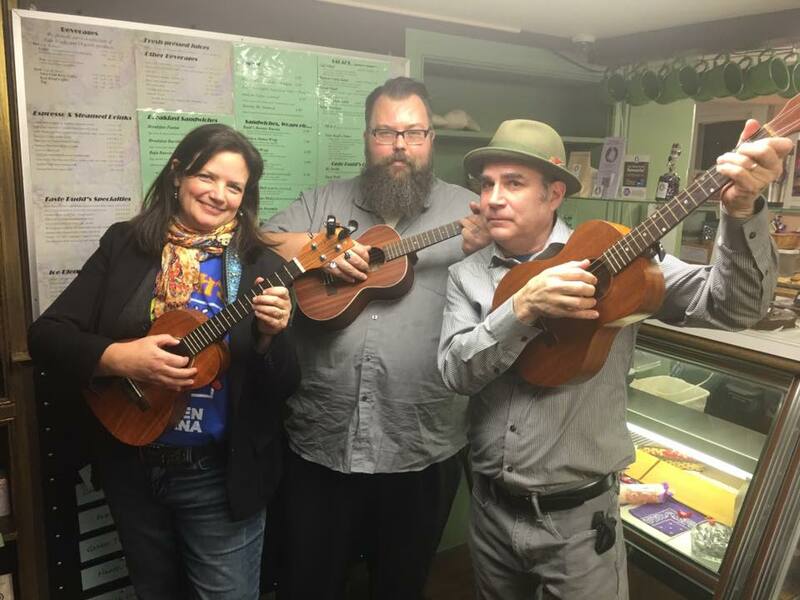 Above: Leigh Van Swall, Justin Smith and Carmen Borgia on voice and uke. Alison Davy brings classical soprano with serious chops and the ability to move from Texas swing to happening high notes with heart and humor.